This Christmas, Santa’s got a brand new bag—courtesy of Cartoon Network! 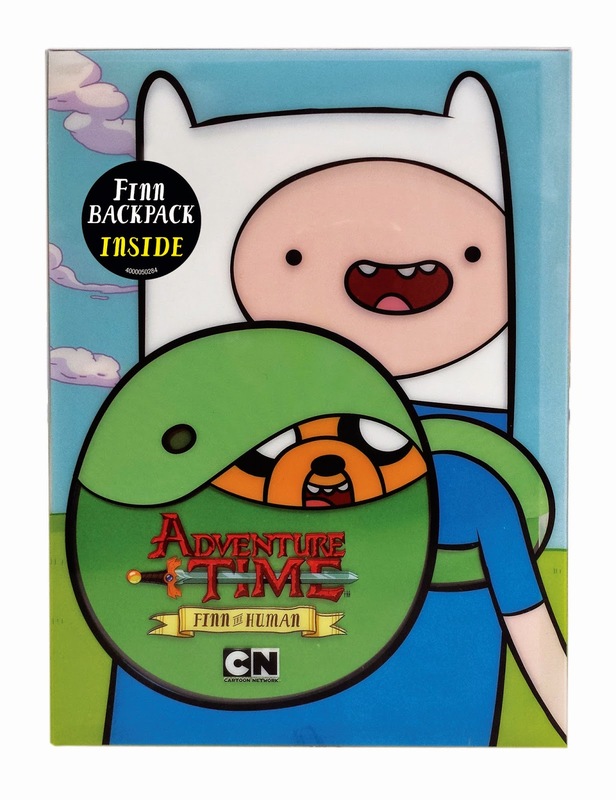 Following the huge success of the Jake vs. Me-Mow and Jake the Dad DVDs and accompanying Finn and Jake hats, fans of Cartoon Network’s smash hit series, Adventure Time, can now complete their Finn look with an authentic backpack, which is valued at around 20 bucks on its own, packaged with the DVD! Packed with 16 hilarious episodes from fan-favorite seasons, Adventure Time: Finn the Human is a must-have gift for any Adventure Time lover. For only $24.98, you'll be able to get your hands on nearly three hours of content and a sweet exclusive backpack, perfect for any adventure this holiday season. This Adventure Time Finn the Human DVD set is great because not only does it include 16 episodes of the hit show, but it also comes with a free backpack that resembles the one Finn wears! This cartoon is not only geared to children and teens, but it also has humor that is more directed to adults making it fun to enjoy while watching with your kids! Definitely a great DVD to give this Holiday season for those Adventure Time fans you know. I sat down and watched this with my teen age brother who is a huge Adventure Time fan. He absolutely loves this show and loves that the DVD came with a backpack like Finn's. Disclosure: All opinions are my own. I received Adventure Time: Finn The Human on DVD at no cost for the purpose of this review. No other compensation was received.